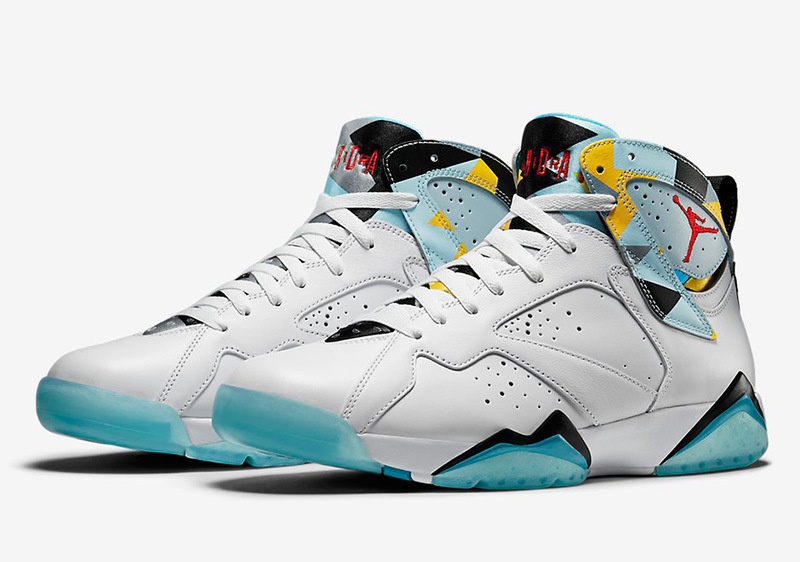 Nike’s N7 collection benefiting sports funding and programs for Native American and Aboriginal communities has been around for a few years now, but for the first time ever, Jordan Brand will be part of the collection. 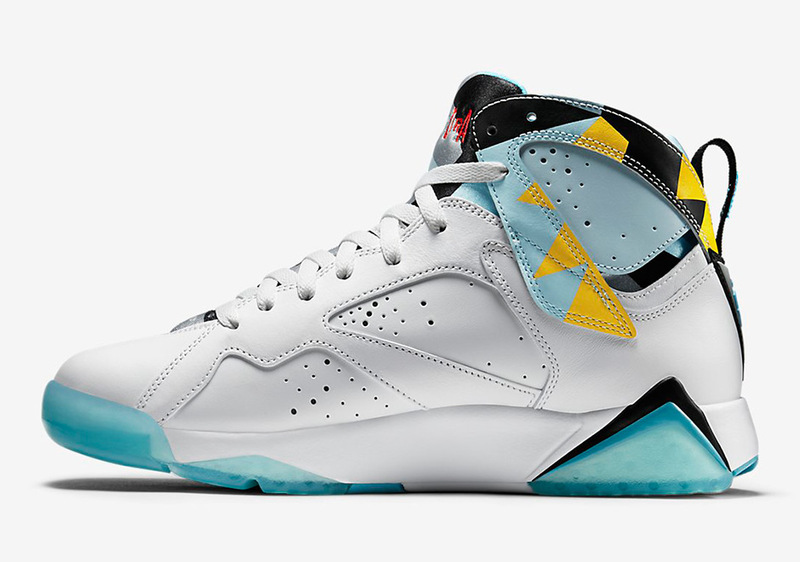 Jordan’s introduction to the N7 collection begins with a bang, with three models including the modern performance Super.Fly 3 PO, Air Jordan 1 Low, and the highlight of the set that we’re here to look at today, the Air Jordan 7 Retro. 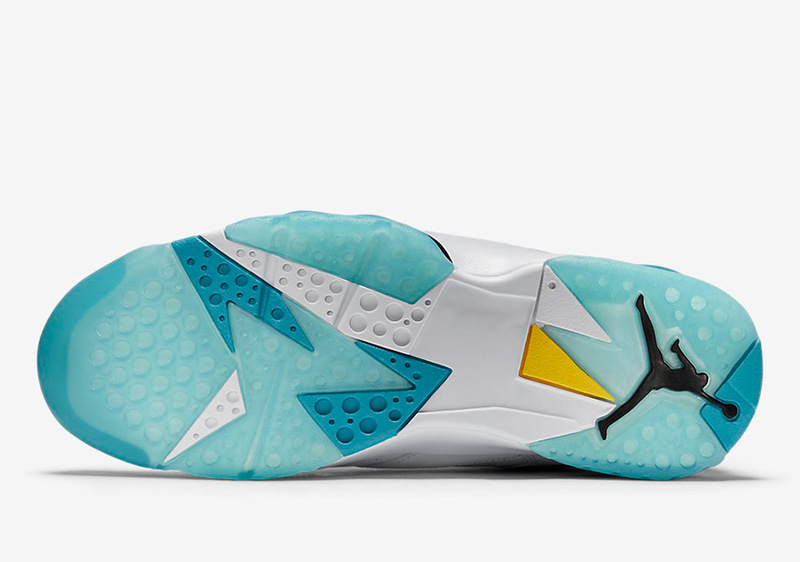 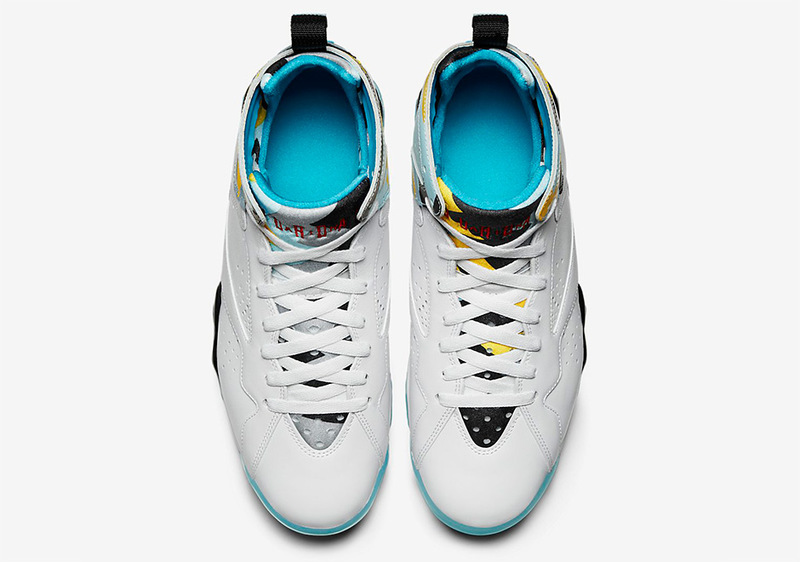 Coinciding with the color scheme of past and present N7 releases, the Air Jordan 7 is outfitted in a white leather based construction with turquoise, red, yellow, and black accents. 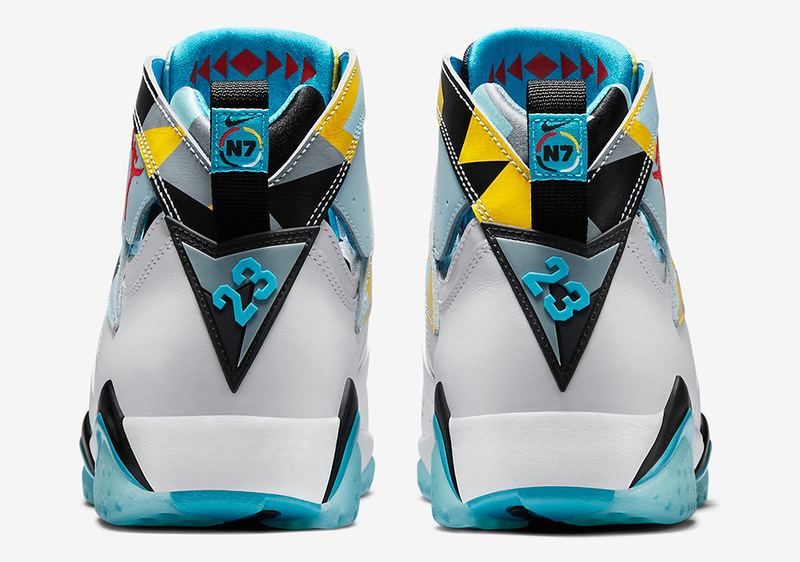 The iconic Air Jordan 7 tribal print is featured not only on the tongue, but across the Huarache ankle piece, as well. 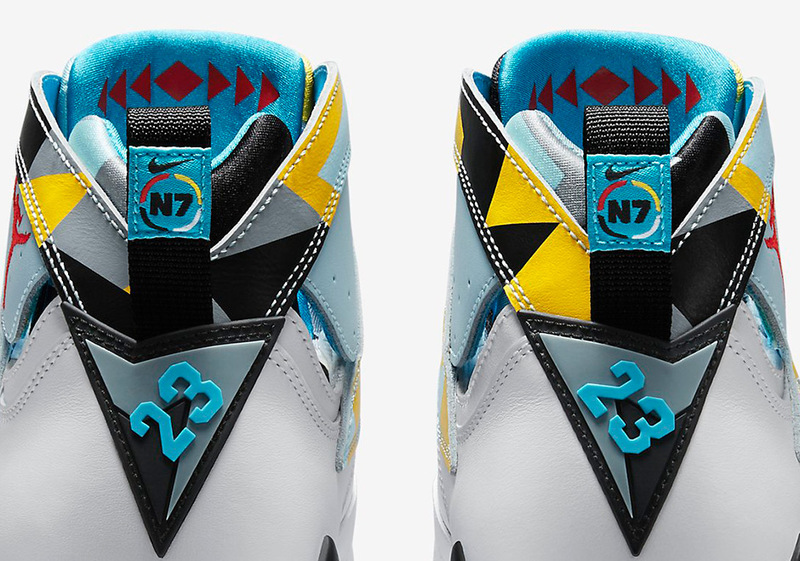 N7 logos are applied to the heel tabs, while a triangular motif is seen on the inside of the tongue. 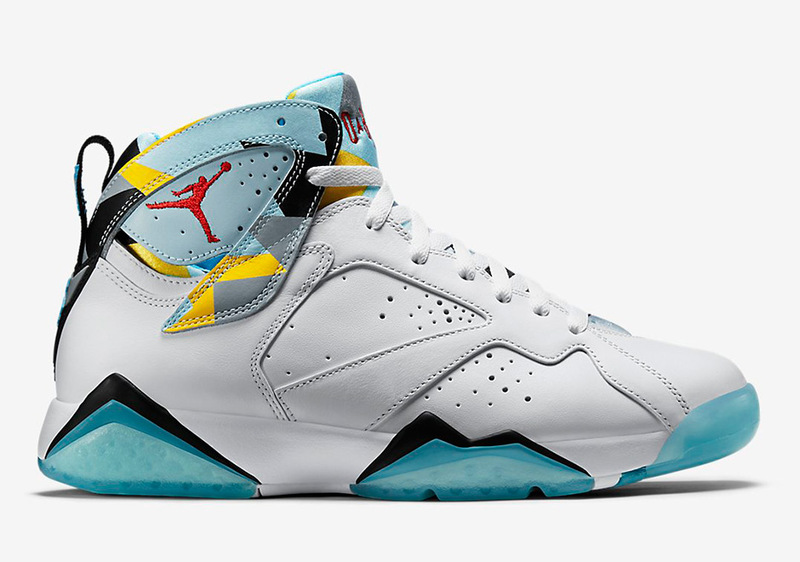 Take your best look yet at the Air Jordan 7 Retro N7, and then don’t forget that they release this Wednesday, June 3rd at select Nike retail locations and Nike.com.